Underwater world, printed poster made with colour pencil and nail polish. 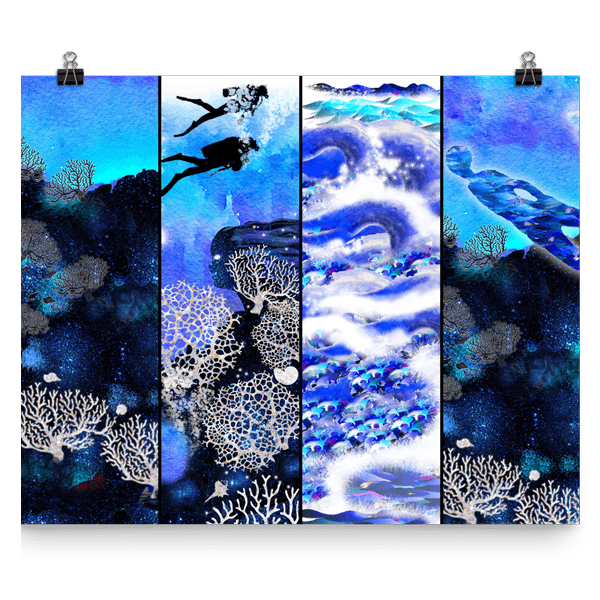 A series of four images from under the sea with scuba divers and a freediver. 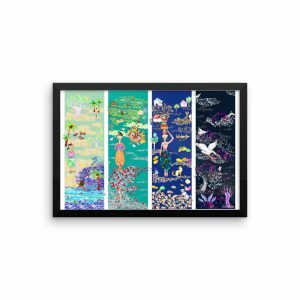 Perfect for those who love the sea or wish to have a marine touch to their interior!